We provide specialist insurance packages for hauliers, including owner-operators and fleets. This type of work is defined as the movement of goods over a distance to a single destination, and is different from the type of work carried out by couriers and delivery drivers, who need a different type of cover. 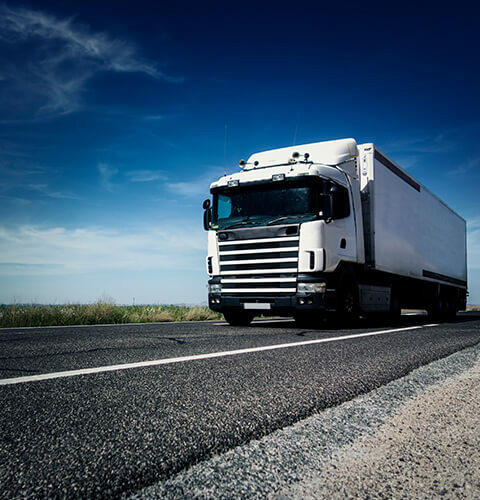 If you’re looking for commercial vehicle insurance cover for haulage vehicles with a gross vehicle weight of up to 3.5 tonnes (light vehicles), you can now get a van insurance quote from ChoiceQuote Personal Insurance. If your vehicle is more than 3.5 tonnes (ie an HGV), our Commercial Haulage Insurance team will be pleased to help. We can provide cover for your commercial vehicle to ensure that you can keep your business on the road and for the goods you are transporting. Whatever your particular line of work, we can insure your van on a third-party, third-party plus fire and theft, or comprehensive basis. This can be combined with goods-in-transit insurance cover for an excellent value package. Goods in transit insurance will cover you in the event that any goods you are transporting are lost, stolen or damaged in transit. While it is not a legal requirement, it is a demanded by many suppliers. It should be tailored to the amount and value of the goods you transport and your conditions of carriage. In addition, we can negotiate optional add-ons, such as AA accident and motor legal protection. Because of our relationship with the leading insurers we are able to negotiate exclusive rates for you. These include open driving options, introductory discounts for new starters, and discounts for established drivers. Our dedicated Haulage Insurance team will be pleased to help and can make sure you are fully covered for your individual circumstances. In the event of an incident, you will have access to our 24-hour claims line. ChoiceQuote are experienced brokers for all types of wheeled businesses, including commercial insurance, courier insurance, fleet haulage insurance and van insurance. Working with the leading insurance providers, we tailor the package for your individual needs, including the types of excess you would be willing to pay. So if you are looking to add additional drivers to your policy, find cover for your own and transported goods, and EU cover, we can add this to your cover. We will ensure that you receive the best possible deal we can offer, taking into account any possible no-claims bonus. The price of your policy will depend on a number of factors including your claims history, the types of goods you transport, and the nature of your work. We also offer specialist insurance for fleets of more than four vehicles, including van fleets and mixed fleets with all sizes of HGVs, vans, tippers, plant machinery and vans, where all your vehicles are used for commercial purposes. This insurance can be combined with other types of cover including Public Liability and Employers’ Liability insurance for a great-value package. We can provide you with advice on installing telematics devices that could help to keep down the costs of your premiums. Our team will be pleased to advise you on the payment options that are available. For the best value haulage insurance for vans, speak to the friendly team at ChoiceQuote today!